During a Halloween party, a dashing police officer looked across the room and spotted the most stunning angel he had ever seen. This ‘angel’ was Chelsea, who gladly accepted the drink ‘Officer’ Ben offered her. Despite having previously met via numerous mutual friends, this college party signified the moment where they went from acquaintances to having mutual interest in each other. These two UC San Diego college students would eventually support each other through graduating and the launch of their respective careers, all while keeping La Jolla close to their hearts: it’s not only where they met, it’s where they have memories of running on the shore and where they became engaged overlooking Torrey Pines. 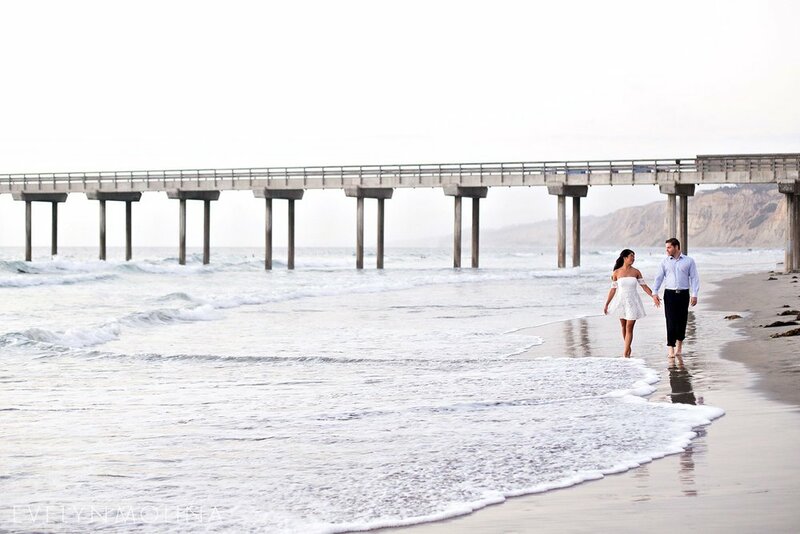 Coming back to La Jolla was the perfect location for their engagement shoot.